If you too are a freelancer like me, then you’d know how tedious it can be to track down all the client and customer records. Also, this thing can’t be overlooked as it helps us in claiming our remuneration. Like I said above, if you are a Freelancer or even an SMB owner and find it irritating to manually keep track of your customers, I have the final solution for you. TopNotepad.com tool is primarily built by keeping small and mid-sized business owners, and freelancers in mind. The tool is full of pre-made templates of different document types which make the data recording jobs very easy. The software basically offers 5 main types of the document creating services. They are as follows. I don’t need to mention the importance of Invoices for a freelancer, it is these invoices that you send after doing the job in order to get paid. You won’t believe that invoices need to be created in a very careful manner or your payment might get delayed as well. The tool has a dedicated tool for invoice creation that would take away this tedious task from your side. With this tool in hand, you can create your invoices within only a couple of minutes. All you need to do is to enter the client and work details and hit generate to generate a payment receipts that you can send to your customers even without downloading it. The tool also has a feature to set a reminder to recall if there is a client that hasn’t paid yet. The tool also has a dashboard for invoices that can give you a brief idea of each and every invoice that you have. These invoices can also be downloaded in excel or pdf formats for future references. Changing invoice style isn’t hard either. Every freelancer is bound to keep a track of his or her expenses. Even if you make a lot of amounts and spend without any planning, you will never find a penny in your hand after the month end. As I mentioned in the previous section as well, the tool has a dedicated dashboard for the expense that displays you the summary of your expenses. We all are well aware that all the expenses are not the same. People spend money on different things. This is the reason why this software integrates different types of categories so that you can record with maximum accuracy. You can also link down your invoices with the costs. There is a file upload feature that allows you to upload all your receipts into the expense sheet so that you don’t have to keep dozens of papers. The management and online lead management is vital for any business. This is because any single lead can prove to be a big order sometimes. There is an interface in which you can upload leads on a bulk basis. Users can also set up reminders in order to do some specific tasks. There is also a note taking feature inside the interface that can help you in making notes for future references. The tool can also help you to allocate your leads in case you share the account with anyone. This tool aims to cut the need for a professional accountant in order to keep tracks of all of your financial transactions. On this tool, you can manage expenses and invoices, and the app itself takes care of every single thing from logging to income up to expenses. Based on these loggings, you can also have an insight upon your profits and losses. Through this, you would find it very easy to create the balance sheets as you would have minimum details to fill. Users can also manage their cash books using this tool. It is a world-renowned fact that all the clients are not the same. 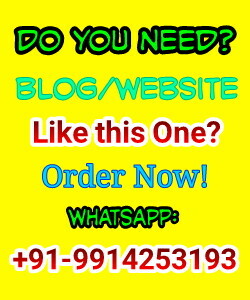 A lot of people prefer getting the custom quote before allocating the work. This is precisely why you should understand how to create these types of documents. The app also provides a unique feature where you can convert one quote into an invoice. Overall, the tool works great, no flaws and no problems you’d face while using this tool. TopNotepad also provides one more interesting feature of creating Invoices for Free. If you want to try this tool then here is the link to create your invoices. Also, as a freelancer myself, I find this tool great and very convenient and would recommend it to every freelancer. 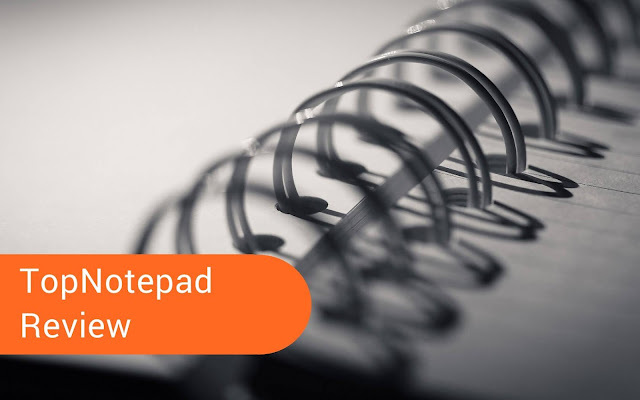 Message: I hope that you have enjoyed 'TopNotepad Review : The Best Tool to Manage Freelancing Business ' article on Tips2secure. However, if you want me to deliver more items, then please share my post. You can use Social Sharing Widget provided at the end of every post. After all, Sharing is Caring!